Native whey protein (soluble milk protein) with unique functional & nutritional properties. 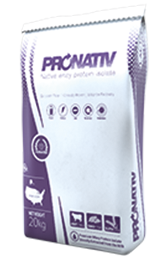 Pronativ is a clinically proven protein and easily dissolves in solution. *Low lactose version contains lactase. Instant versions contain lecithin and may also contains GMO.